We have a tiny little azalea, about 15 cm high at best, tucked away in a sheltered and shady-ish spot underneath an established ornamental red-currant. It doesn’t really take any care or maintenance and seems have been managing OK, but recently, I noticed that it has turned red. 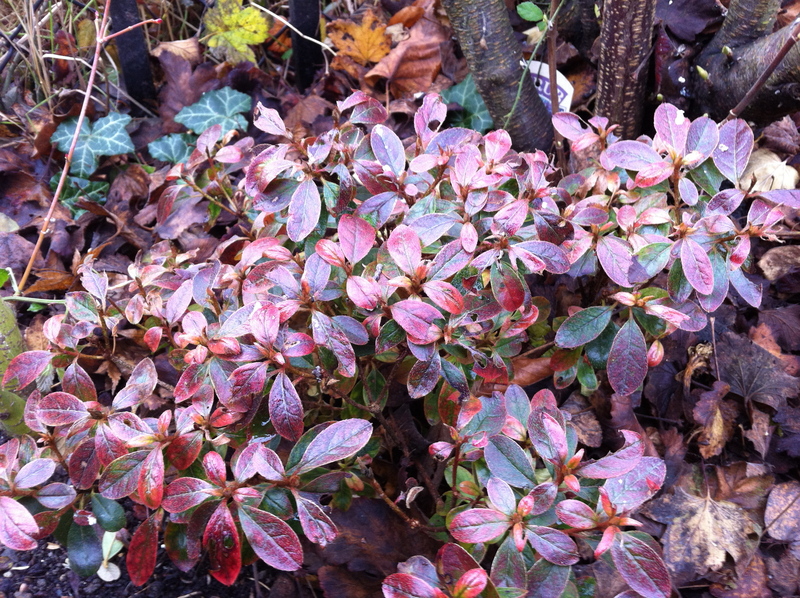 Now maybe it is normal for azaleas to turn red in the winter like this and I have read that it can be due to cold; but we have had a very mild winter so far. There is another azalea a bit further along the border so I shall compare the two. Hopefully it will pull through and look much better when the weather warms up. I shall have to try and remember to look in on it from time to time and see if it survives through to flower in the late spring.